Shopping for a tween or young teen girl? 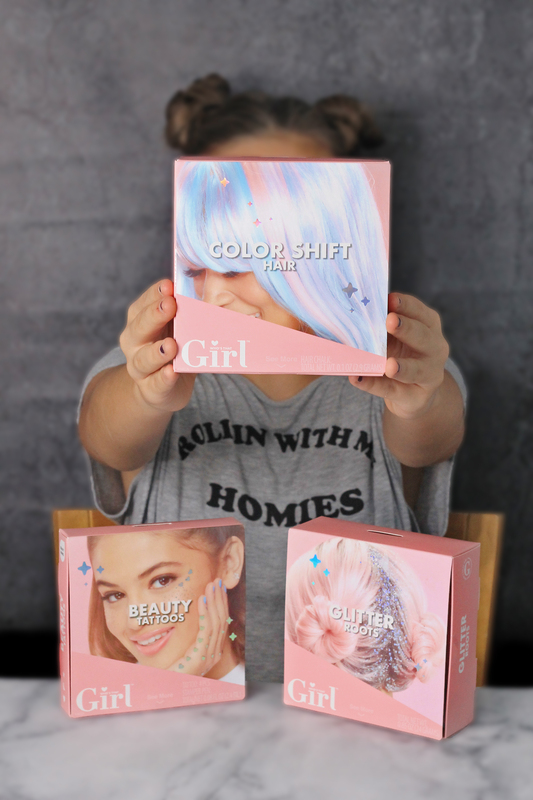 Who’s That Girl beauty products are a great gift idea! If there is one thing I hate to gift at Christmas, it is gift cards or cash, especially to kids. There is really no thought or fun behind opening a gift card or cash … well maybe to me there is no fun in it! With that said, tween and teen girls (and boys) are sometimes tough to buy for. Hailee and Chris have come to an age where I can’t really buy their clothes without them being there. They also don’t play with too many “toys” as Bella does. Man, little kids are way easier to shop for! 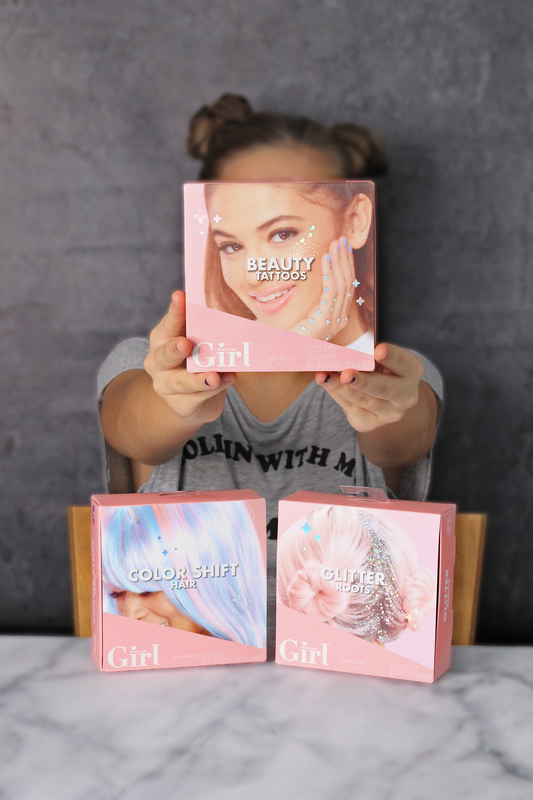 If you have a tween or young teen on your gift list who loves all things beauty, you definitely should consider buying them some Who’s That Girl products! This is the second post for the MGA Entertainment Fall/Winter Toy Box Program. 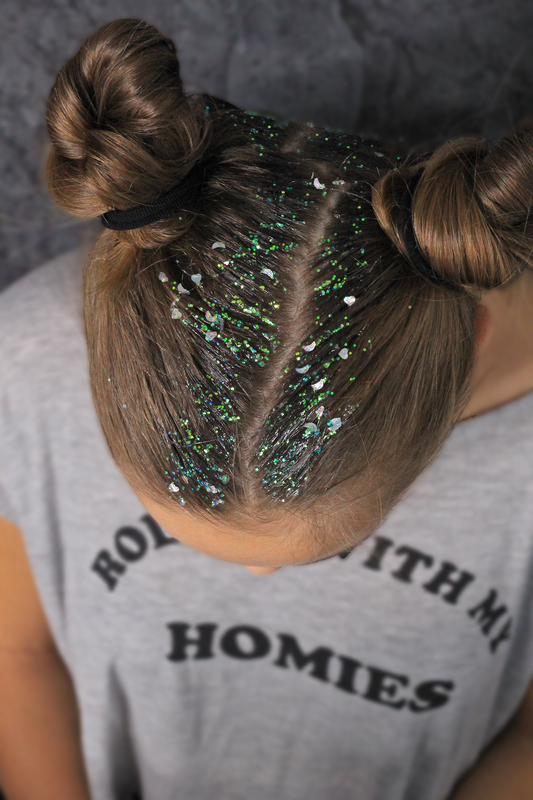 This sparkling glitter gel adds some serious shimmer to your hairstyle! 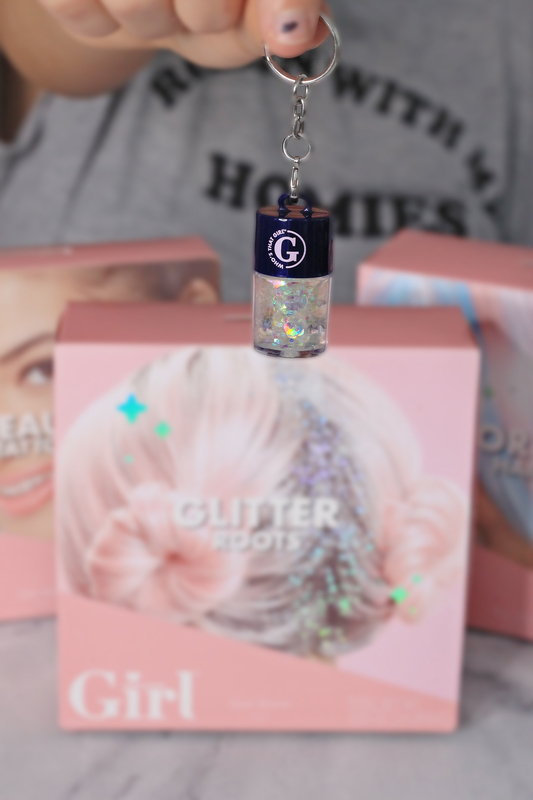 Who’s That Girl Glitter Roots comes in 3 different options; Mermaid Sparkle, Unicorn Queen and Rainbow Party (the one we have). 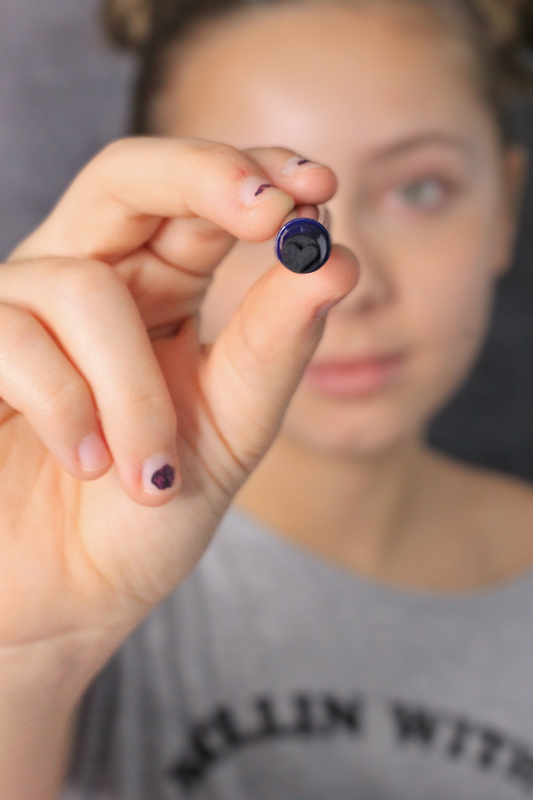 It also includes a smaller keychain size for styling on the go. Hailee parted her hair and made some cute buns then she applied the one-step gel using the included applicator. I will note that I wish the full-size applicator had a longer handle as it is pretty short. TIP: Shake the bottle to bring the gel close to the top and up the sides to get it on the applicator easier. Is 36 too old to want to do this to my hair? Seriously, super cute and Hailee really loves it! Now for the all-important question, does it wash out easily? Hailee took a shower at the end of the day and it all came out in one wash.
Buy Who’s That Girl Glitter Roots on Amazon.ca and Amazon.com. 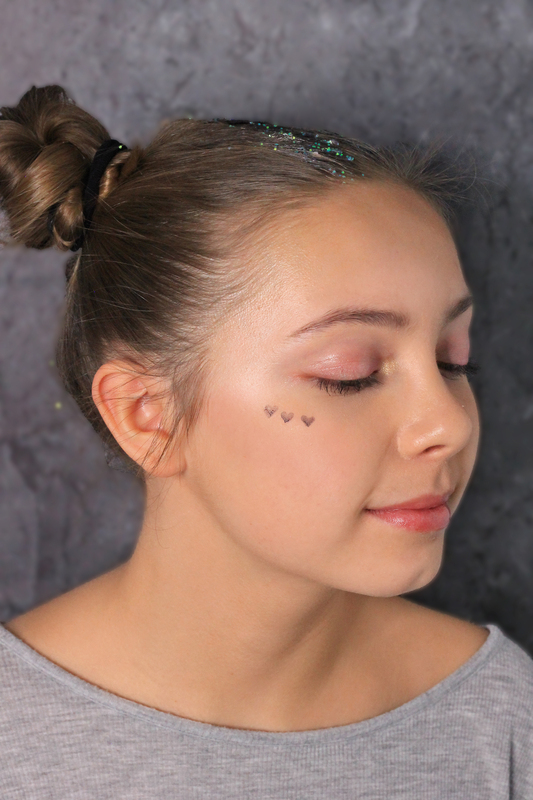 Make a statement with washable who’s that girl- beauty tattoos! They come in cute shapes and sparkle to create a unique look. 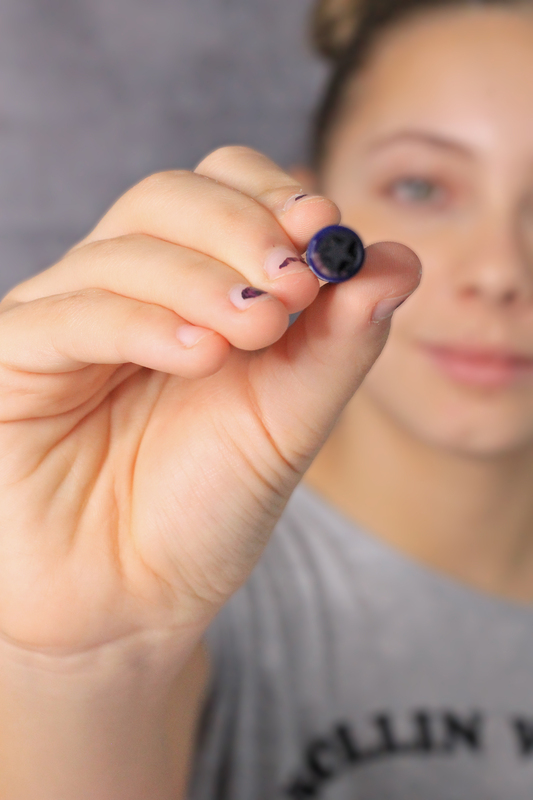 The tattoo stamper comes in a heart shape. Use the tattoo stamper to stamp on fun designs. They go on very easily, but don’t press too hard or you will end up with a circle around it. Hailee could have pressed a little harder, they do go on darker, but because she had foundation on she was worried about the ring LOL! These also wash off easily and do not stain the skin. Purchase Who’s That Girl Beauty Tattoos on Amazon.ca and Amazon.com. Since Hailee’s hair was in buns I tried it on Bella. We received the purple/pink one and it took a few passes to get the colour noticeable enough on Bellas light blonde hair. In my opinion, unless your child has SUPER light coloured hair, I would pass on this one as the colour isn’t very pigmented. Buy Who’s That Girl Color Shift Hair on Amazon.ca and Amazon.com. This is the second post in my Holiday Giveaway Series, so I will only be telling you what Who’s That Girl products have been added to the holiday toy prize pack. If you have already entered the giveaway on the previous Poopsie Surprise post, check the giveaway widget below for a NEW BONUS ENTRY OPTION (BONUS #1) to gain more entries into the giveaway! Stay tuned for the rest of the review posts to find out what other amazing toys will be included! This giveaway will close on December 6, 2018 at 11:59 PM EST. A winner will be drawn from all eligible entries and contacted via email on December 7, 2018. The winner will have 24 hours to respond to the email and claim their prize. My go to when I was a teen was anything bright, and glittery. I loved to be different. Beauty go tos as a teen for me were hair mascara (I need this as an adult for the greys !) sparkle EVERYTHING and a lipgloss that I believe Lip Smackers made that you pushed up ! Alot of blue eye shadow and scrunchies going on when i was a teen. More of a roll out of bed and go kind of teen, but with a new hair colour almost weekly. Mine was just mascara and lip gloss. Cadence would go bananas over the “Who’s that Girl” beauty products. Oh my gosh that glitter brought back major flash backs! I’m 34 and when I was a tweenager we used to cake on glitter on our eyelids and lips. And like another person commented the butterfly clips in our hair!!! 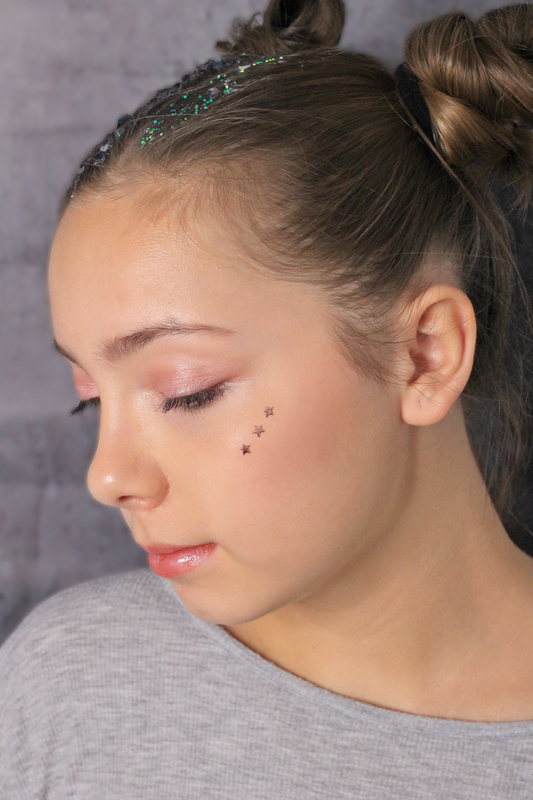 This is the first that I have heard of Who’s that Girl, the products sound fun and something that my teenager granddaughter would love, I like the body stamps, the little hearts are cool!! 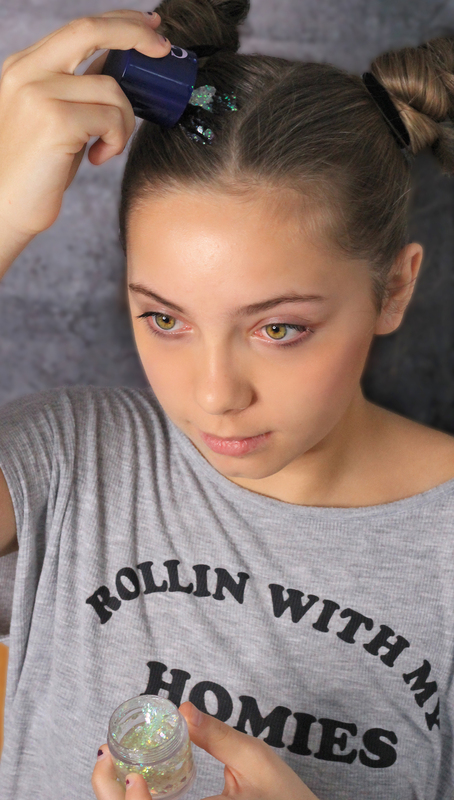 When I was a teen… it was ironed hair (with a house iron, not a fancy flat iron like we have now 😂, and bright, bold eye colors 😎 Sometimes I would finish it off with colored mascara.. bright blue or purple. Yikes! I was kinda plain, I really didn’t have a go to style. Just foundation and lip gloss. I miss electric blue eye liner and mascara. Banana clips and jelly shoes. Oh to be a tween again. I would have a hard time giving these away. I would want to keep them all for my glitter loving self. I was a teen in the 80’s. My style was big hair, big earrings, lots of neon,leg warmers, blue eyeshadow and blue mascara. Sun in for highlights in the hair. Makeup was typically some blush and mascara. My go to teen style included lip smackers, guess jean’s, and hair clips or scrunchies. I remember trying to add highlights to my hair using sun-in and try to “erase” my freckles using lemon juice. I had bangs, which I curled every day. A low, side ponytail was my typical hair style. Or, using a million butterfly clips in my hair! lol! Those were the days! As a teen my go to was glitter eye lids, blue mascara, glitter lipgloss and of course the butterfly hair clips. My beauty style as a teen was make it up as I go, minimalist and throw in some butterfly clips…. When I was a teen my go to was mascara, eyeliner and bright colored eye shadow. Blue eyliner, that’s pretty much all I remember. homemade hair scrunchies :p were my go to teen style! when I was a teen it was much simpler – but definitely light pink lipstick lol. Plaid was all the rage when I was a teen. My go to was always white eye liner and clear lip gloss..
My go to makeup was eye shadow, mascara and red lipstick. Butterfly clips and lip smackers. I was always the Guinea pig for my friends as they learned and experimented with makeup. I never actually learned to apply myself. Curls were in back in my day so we would go to bed with our hair all in rollers. My go to style was the claw hair clip! As a teen I was really into wearing two different earrings! it was blue eye shadow all the way with heavy black eye liner. I loved to dye my hair funky colours when I was a teen. This was before it was really popular like today so I had to travel to the city two hours away to get the dye. I wasn’t big on make up so usually only wore it when I was trying to cover up a breakout. My style was non existent. Jeans, sweatshirt, pony tail and not An ounce of makeup. I wanted to be brittany spears in lucky… used my blush as eyeshadow! 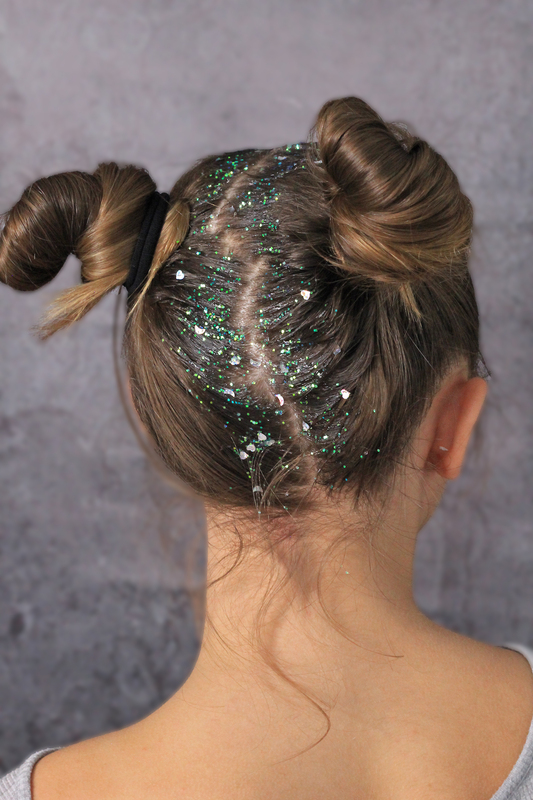 Super cute with the buns and sparkles! Maybelline Kissing Coolers!! They used to smell and taste great!! I was Goth, all Goth. When I was a teen we lived on a farm and got bused one hour to school, didn’t really have a style , didn’t wear much makeup, maybe nail polish and hair was straight or in ponytail. My goto teen style always incuded blue eyeshadow! I just really loved wearing black as a teenager..no makeup, hair usually in a ponytail or maybe just run a brush through it and leave it down. I did liked using lip gloss. Sun in and lipsmackers was my go -to tween style! I had a lip smackers collection of over 300! I always had black eyeliner half way down my face like a racoon…and no mascara! Whitest foundation ever! Safe to say it was NOT a good look and thankfully I know better now! Finding blue nail polish in my moms closet and being the only one at the time wearing anything other than the norm bland colours. Couldn’t even find it stores either. Teased hair and blue eyeliner! I loved lip smackers when I was a kid! Root beer was the best. When I was a preteen in the late 80’s early 90’s, I remember rocking the high bangs! My favourite Christmas movie is Elf! Thank you! Things felt so much easier back then! I used to love using mousse and gel to give my hair a scrunchie/curled look. It was definitely big hair & a ton of hairspray! And bad spiral perms haha! Mascara, lipsmackers and glitter eye shadow. I loved lipsmackers!!! And I wore mascara too. I always wanted to look like Jen Aniston. I did this thing with my bangs it was awful. Hairspray! Also lip smackers and white eyeliner! i had it cut in a short bob for most of high school. Not the best look. I had my blue eyeliner (I thought it brought out the blue in my eyes 🙄). And wore a ton of necklaces and chokers. I didn’t have good style in clothes either… baggy beer shirts my dad got free with a 24 pack. Lol! 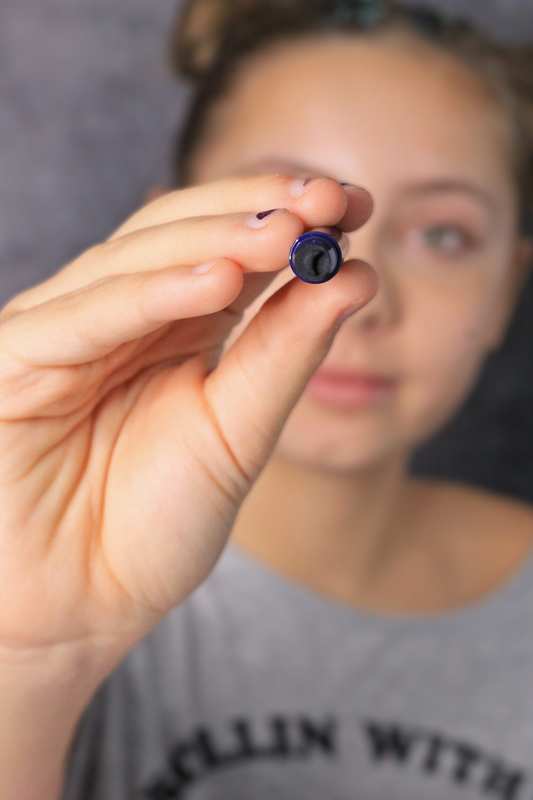 I was plain Jane, until i discovered liquid eyeliner! I owned the side bride. My handy tricks were Vaseline with lip liner . Homemade lip gloss and blush in one!! Wasn’t into hair or makeup as a teen. Can’t think of anything I did that was different or cool at the time. Mabelline eyeshadow with the purple blue color with black eyeliner, lip smackers, light colored cheeks. My go-to beauty style was crimped hair, and Sandalwood Beige lipstick (I can’t believe I still remember my signature colour!! 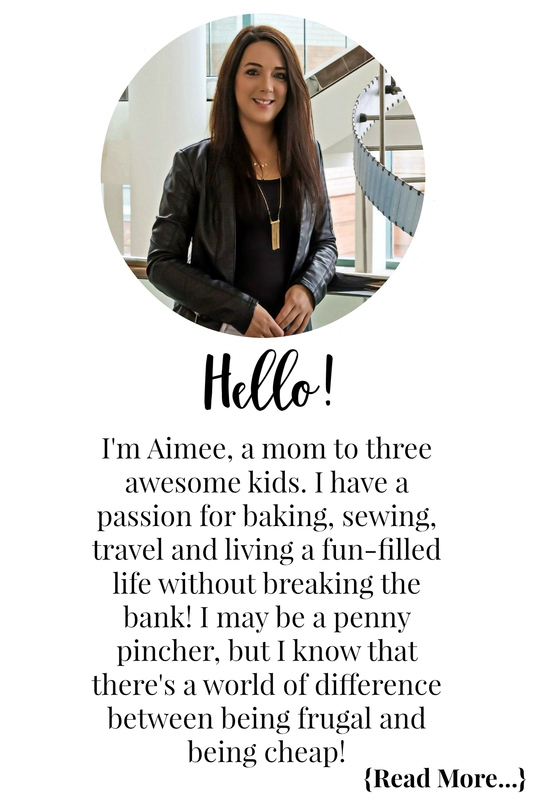 – it matched my leather jacket perfectly too!). My go to style was blue eye line and plaid shirts! Love the 90’s. I can think of a few people that would love these!! My daughter would enjoy them for sure. I remember wearing badly applied eyeliner and bright colours as a tween.